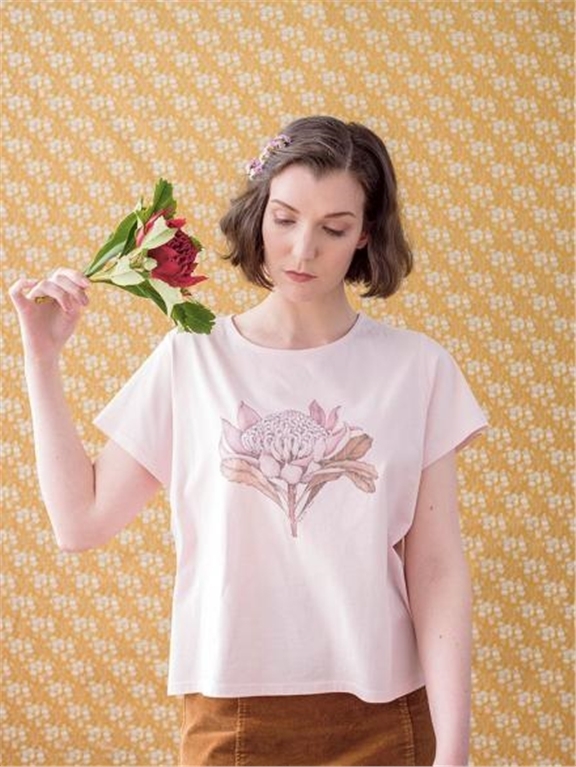 this sweet floral tee has been custom-designed in collaboration with blue mountains artist edith rewa. a textile designer, illustrator and fossicker, edith is stirred by all things botanical and australian. digitally printed and made from 100% soft cotton jersey. all measurements are made flat. please note: this item is designed to be an oversized fit. chest: 50cm, waist: 52cm, shoulder: 38cm, sleeve: 17cm, length: 55cm. chest: 54cm, waist: 56cm, shoulder: 39cm, sleeve: 19cm, length: 56cm. chest: 56cm, waist: 58cm, shoulder: 40cm, sleeve: 19cm, length: 57cm.